Role: Web developer/php,java,html create templates. good knowledge of java, html and php language. Experience: 0-2years in web designing. only BCA /B.E./B.Tech IT/CSE candidate apply. Role: Senior software tester, Should have 3-5yearexperience in software testing. only Experienced MBA/MCA /B.E./B.Tech /M.E./M.Tech candidates apply. Role: Assistant Manager, Should represent their company and themselves well by acting as a role model to the people reporting to them. 1.5-2.0lac P.A. only MBA/MCA /B.E./B.Tech /M.E./M.Tech 60% aggregates can apply. good knowledge of testing methods. Experience: 0-2years in software testing. 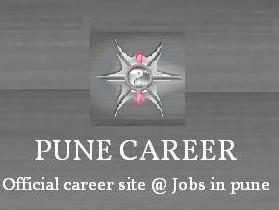 BCA /MCA/B.E./B.Tech/ M.E./M.Tech any branch can apply. Happy New Year 2017 Life always gives you a second chance, its called Happy New Year. SM Wireless Solution Pvt. Ltd. Technical Marketing Executive.